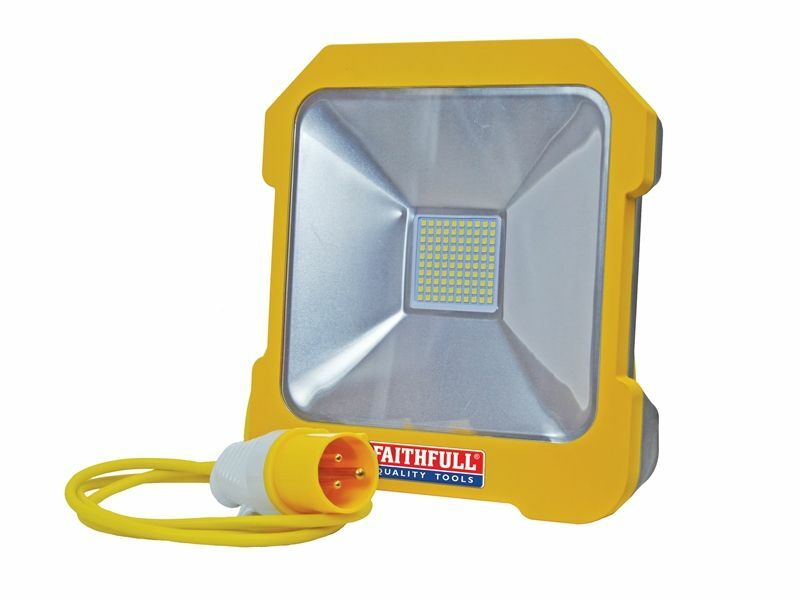 The Faithfull LED Task Light has a highly efficient, glare free 20 Watt SMD LED light that has a 2,000 Lumen output. 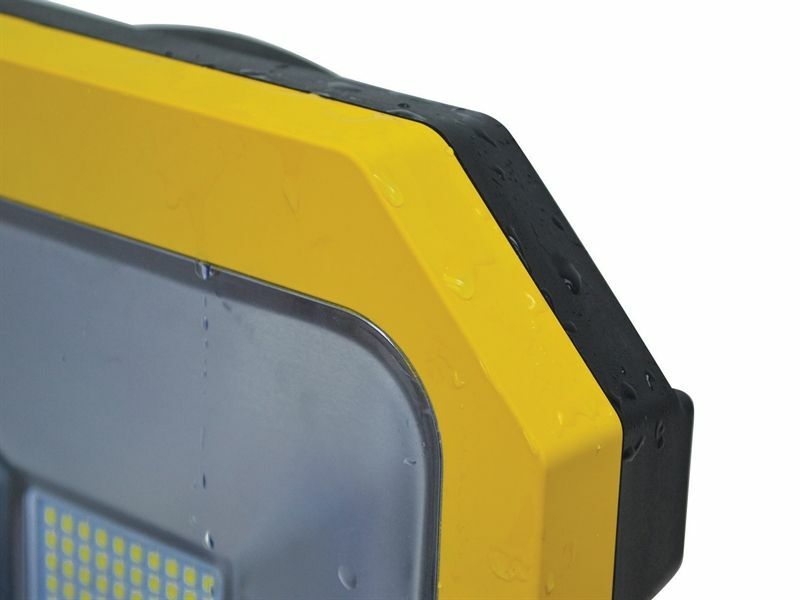 Mounted in a heavy duty, impact resistant waterproof case rated to *IP44/54. 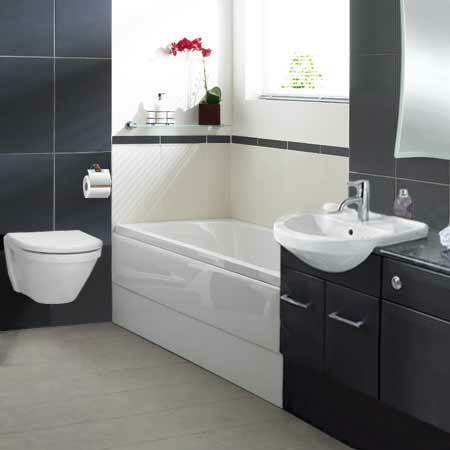 The mirror backed reflector improves the light output and beam spread of the worklight, which also has the added benefits of an integrated power take off socket allowing the series linking of lamps or for use with power tools*. 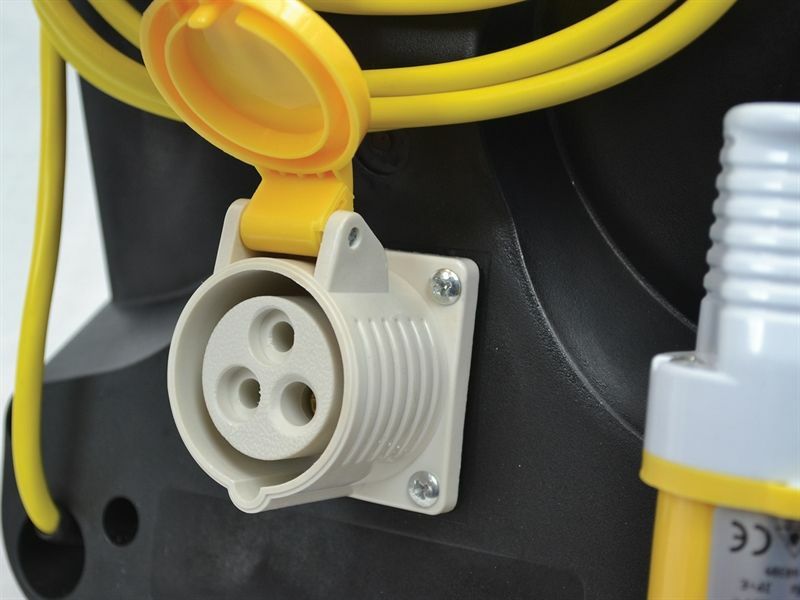 The lamp has a 3m x 0.75mm² cable and a built-in storage system and is fitted with an approved 240/110 volt plug. 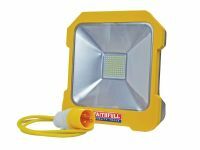 LED work lights have many uses around the work site or home, providing a glare free bright light that avoids the high heat output associated with halogen bulbs. These lights are cool running and eliminate the fire and burn hazards associated with halogen lighting.